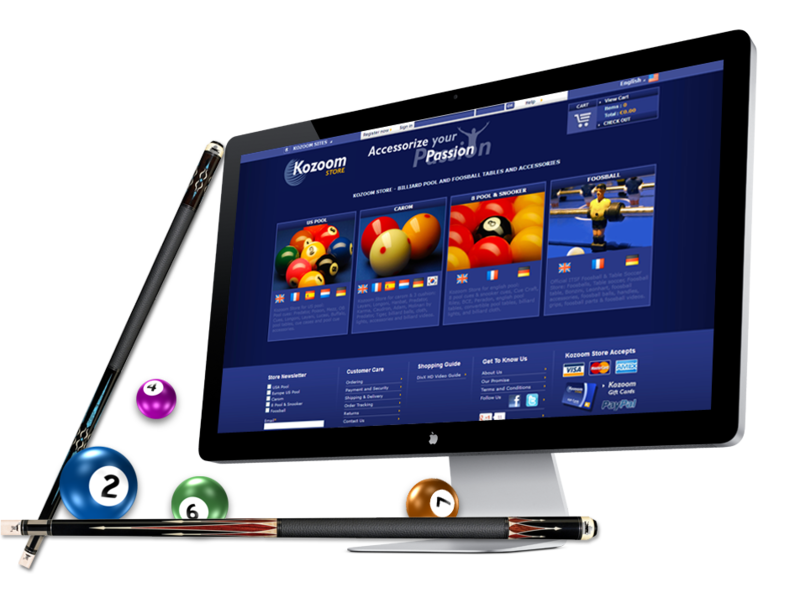 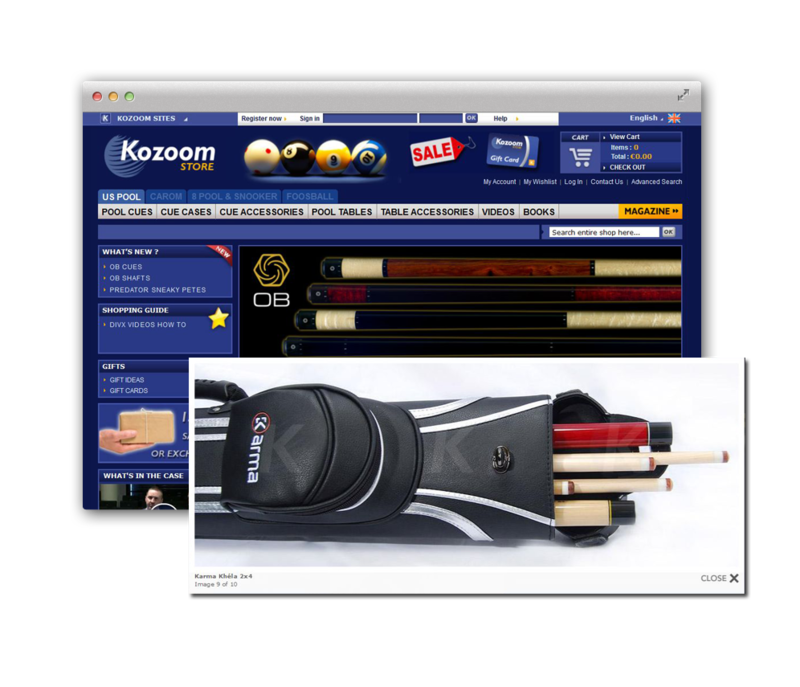 Kozoom, located in France is the leading online site for US Pool, Carom, 8 Pool & Snooker, Foosball and their accessories. 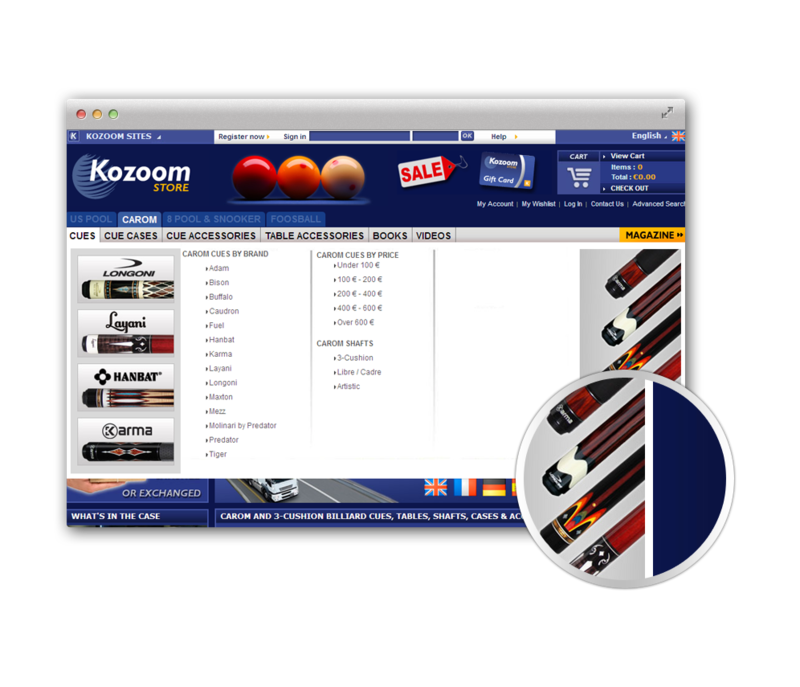 Kozoom is one of our esteemed clients approached us to have multi stores and multi language feature; this helps users to buy various products efficiently. 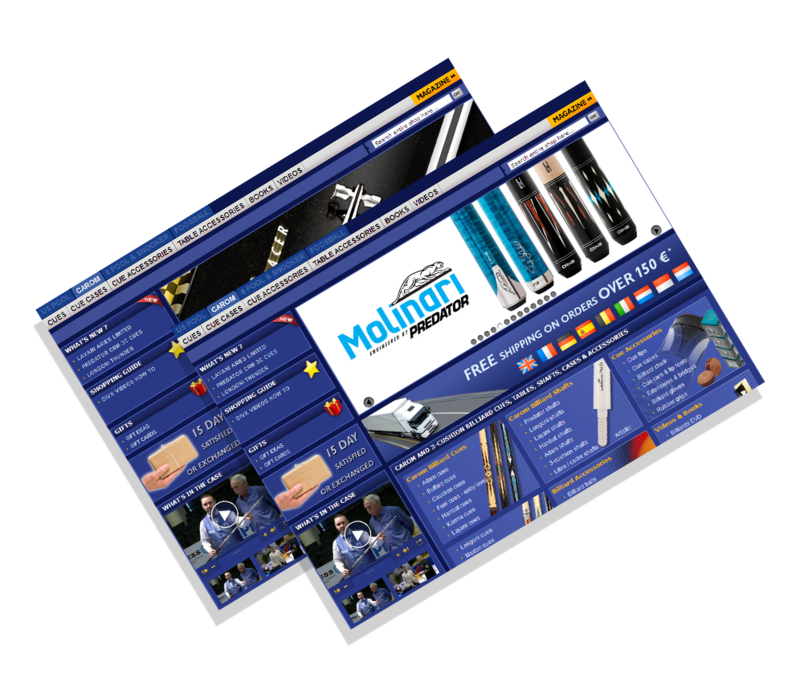 Our Magento eCommerce team upgraded the Magento version to 1.7​ ​ without any data loss and kept monitoring the store, so that it runs smoothly.